One winner will win an elusive McGold Card from McDonald's. 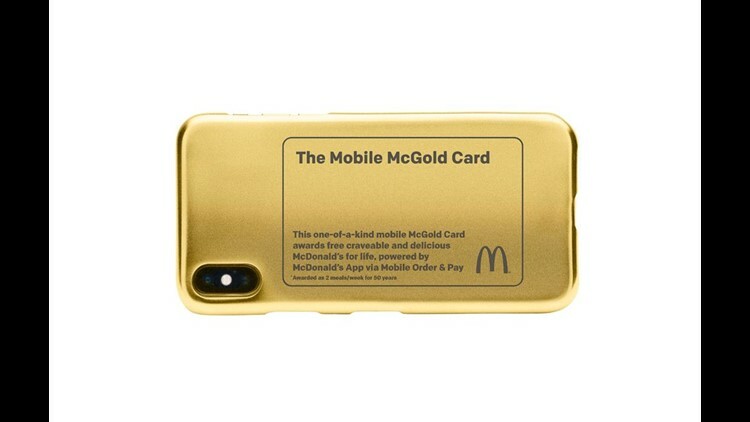 To enter McDonald's McGold Card contest, place a mobile order on the McDonald's app. 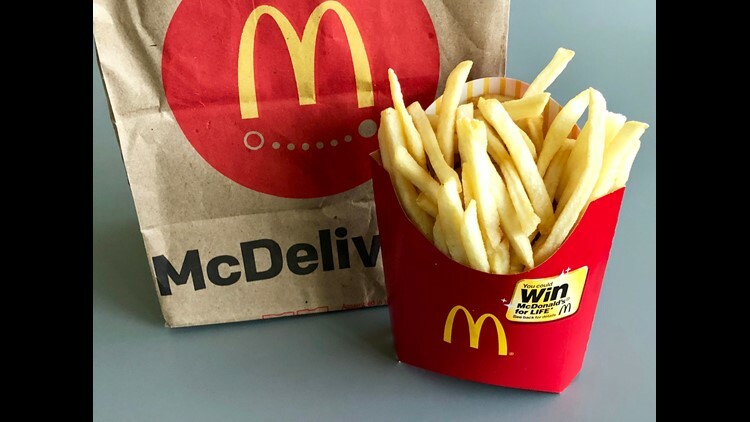 The app also has coupons including free fries with any mobile orders on Fridays. There will be only a single winner, which makes McDonald’s looks “incredibly cheap and chintzy,” Frankel said. McDonald's isn't the first to run a lifetime free food promotion. This week, Starbucks launched a new contest, Starbucks Summer Game Boardwalk, with $1.7 million in prizes. Through Sept. 10, members of the Seattle-based chain's loyalty program can enter for one of three grand prizes – free drinks daily for 10 years, worth more than $18,300 apiece. Ten will win free drinks for five years, and Starbucks will award free drinks over shorter time frames along with smaller prizes such as coupons. There’s also a contest for nonmembers, where five will win free drinks for a month, worth $155. Taco Bell gave a lifetime of food away in its “Eleven Everlasting Dollars” challenge in 2014. The odds of winning were steep at about 1 in 2.4 billion but 11 won the prize worth $10,000 each. Download the McDonald’s smartphone app. Place an order with the app. Pay with a major credit card, which won’t be charged until you check in. Pick up your order. Check in at participating restaurants and choose to pick up your order inside the restaurant, on the drive-thru or at designated curbside spots. Alternate entry: McDonald's is also taking entries without purchases. To enter send "an email to entry@amoeentry.com with only the date (mm/dd/yy) you are sending the email in the subject line and your first/last name in the body of the email. Limit one (1) Entry per day (regardless of method)." Earn up to three game plays per day on qualifying purchases with your registered Starbucks Card or with your card in the Starbucks app – one purchase before 2 p.m. gets you one play and a purchase after 2 p.m. is two plays. Go to www.starbuckssummergame.com and log in to your Starbucks Rewards account to your access game plays. Follow the instructions on the game page. Each instant win game play will result in one game ticket or one instant win prize. Collect tickets for a chance to win free drinks for 10 years or instant win prizes like free drinks, food or bonus stars. Stars turn into free drinks and food items with the loyalty program. You can play without making a purchase. Sign up for free entries at the bottom of the game's page. Find the link to sign up for free entries on the paragraph that starts "NO PURCHASE NECESSARY." You'll get an email with a game play, which will take you back to the contest website. Go to www.starbuckssummergame.com and click on the “Play the Mini Game” link. Follow the instructions to complete and submit the registration form including a valid email address. Get one entry into the sweepstakes and one instant win game play per day.